This stylish hanging plant pot from Ruddick Garden Gifts is made from stoneware with a hand crafted look and wavy rim. 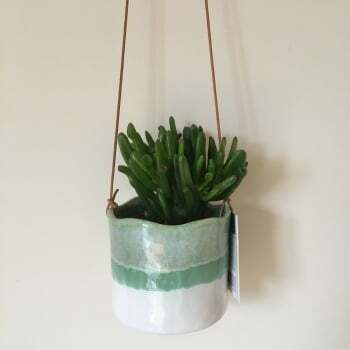 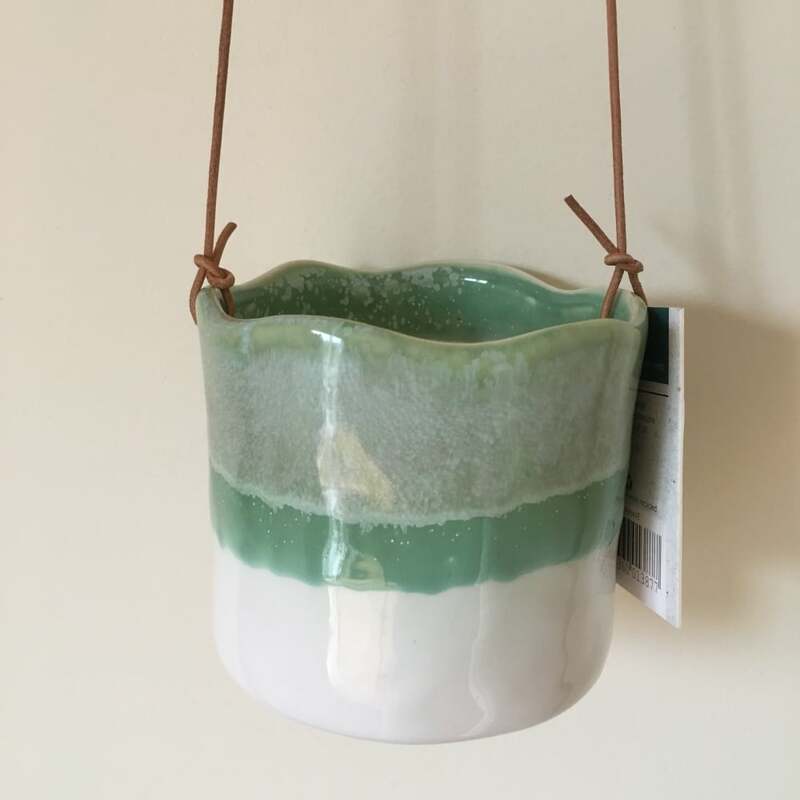 This indoor plant pot has a green dip glaze and comes complete with 43cm leather hanging cord. 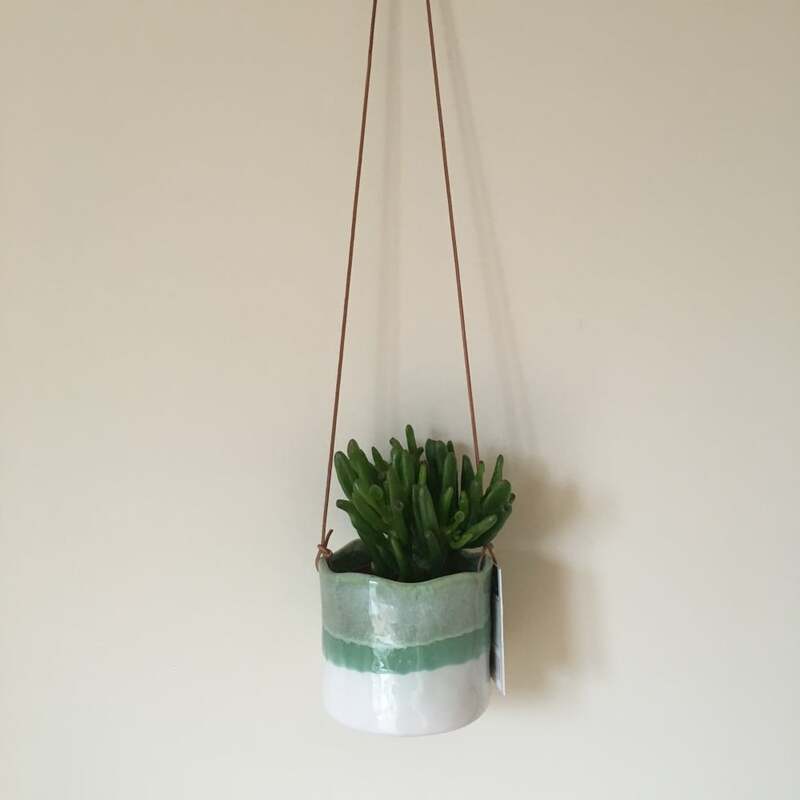 Join the super stylish as hanging plant pots are the hot urban trend of the moment!